Maintaining good oral hygiene habits is key to achieving optimal oral health. At Bendigo Smiles, we will help you boost your dental care, at home and at our clinic. 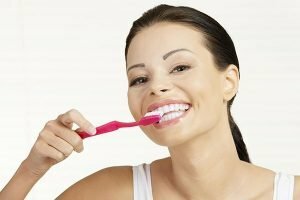 We help you establish an effective dental hygiene routine that will help keep your teeth and gums in their healthiest state. We are pleased to offer you and your children a comprehensive oral hygiene program for a lifetime of fantastic smiles. The concept of oral hygiene is simple. However, not all people can practice good oral hygiene. A suitable oral hygiene routine involves regular brushing and flossing using the right techniques and tools, followed by mouthwash or an interdental brush if needed. If you are not currently practicing good oral hygiene, we are here to help you upgrade it. Committing to a healthy lifestyle choices, seeing your dental team regularly, and avoiding bad habits that harm your teeth is what a good oral hygiene is composed of. Choose a toothbrush with soft bristles. Hard bristles can damage your tooth enamel and gum tissues. Angle the bristle into the space between the tooth and gums. Move the toothbrush back and forth. Gently sweep the brush up and away from your gums. Brush all the surfaces of your teeth. Don’t miss a single tooth, especially your back teeth. Brush teeth gently and properly for 2 minutes. Gently rub the floss up and down around each tooth. Slide the floss beneath the gum line. Don’t snap the floss on the gums. For every tooth, be sure to use a new section to effectively get rid of the plaque. Though this doesn’t involve brushing or flossing your teeth, a healthy diet plays a crucial role in maintaining a healthy smile. What you eat can make or break your dental health. Sugary and acidic foods are known to promote tooth decay and cavities. Consuming them on a regular basis make your teeth and gums prone to dental problems. Eating healthy foods daily will not only benefit your body but also your smile. No matter how precisely you clean your teeth and gums at home, you still need the expertise of your dentist and dental hygienist. They help boost your oral hygiene at home, further improve your dental habits, and professionally examine the health of your mouth. Learn more about caring for your teeth and your child’s teeth as well! We encourage you to visit us at Bendigo Smiles for optimal oral health. If you keep your mouth healthy, your body becomes healthy, too. Our team look forward to meeting your family at our office.